Flight from Garoua to Yaoundé. 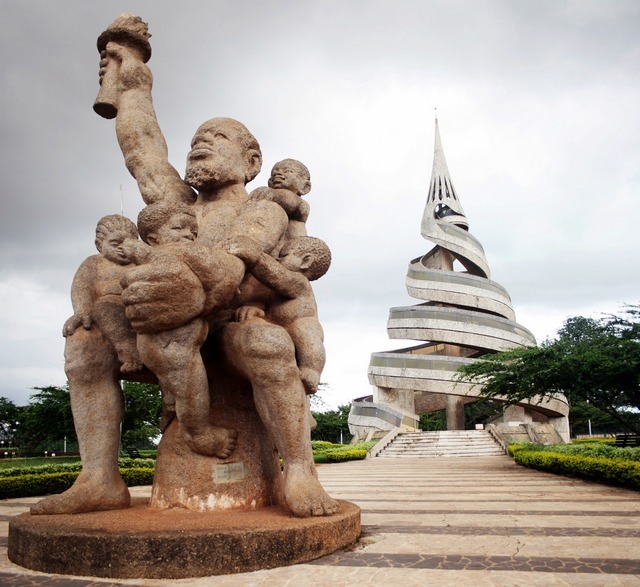 We begin our Cameroon tour on arrival at Yaoundé Nsimalen International Airport, where you will meet your guides and transferred to our hotel for the night, depending on the time of your arrival, there may be an opportunity to visit the city. Overnight in Yaoundé. 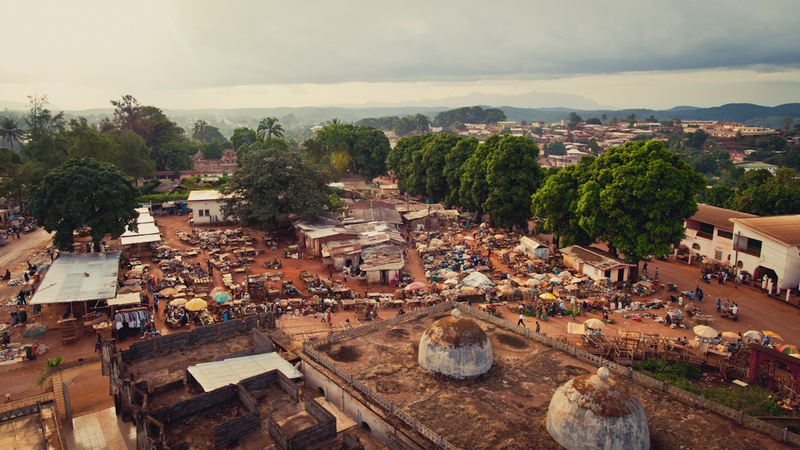 Today on our Cameroon tour, we leave Yaoundé and stop off first at Bafoussam, the third largest city in Cameroon and a major hub for Bamiléké culture. We visit the town and the Chief Palace and its museum. 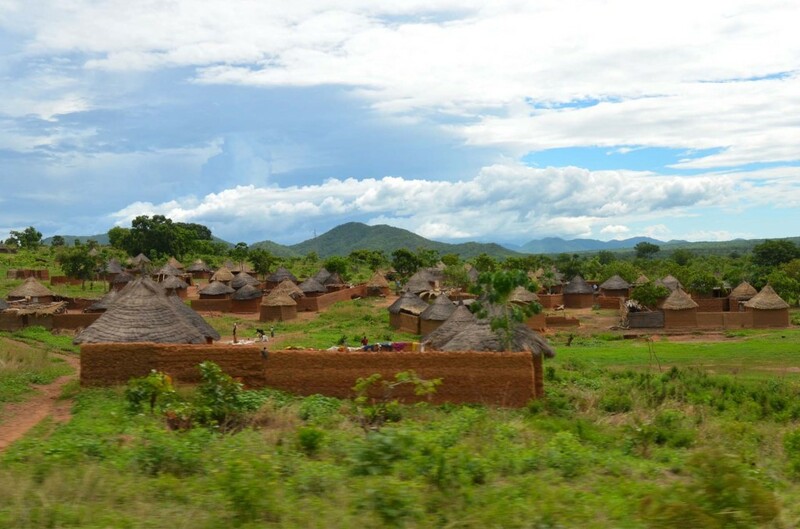 Next, we will arrive in Foumban, the capital of the Bamoun people and was the historic capital of the Bamum Kingdom. We will pay a visit to the handicraft market, which is the most important center for artisans in northwestern Cameroon and where we can see craftsmen carving the wood or working with metals such as bronze, silver, copper. The town is also a collecting center for coffee, cocoa, and tobacco sent by road to Douala for export. There are coffee-processing plants in the area and a chocolate factory several miles west that we may have the opportunity to visit. Overnight in Foumban. 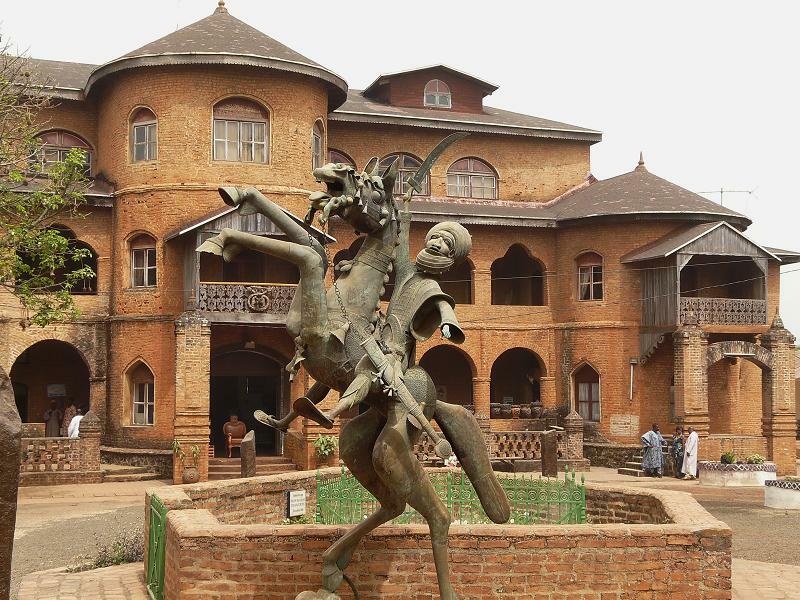 After breakfast we will visit the palace of the Bamoun sultan that dates from the 18th century and houses the Foumban Museum of Bamum Art, containing examples of wood carving, realistic masks in copper and terra-cotta, and collections of weaponry and bamboo and raffia furniture. After visiting the palace and museum, we will witness the parade of for the sultan before the Friday Muslim prayer: it’s a unique occasion to assist on a deployment of all the folklore of this sultanate. 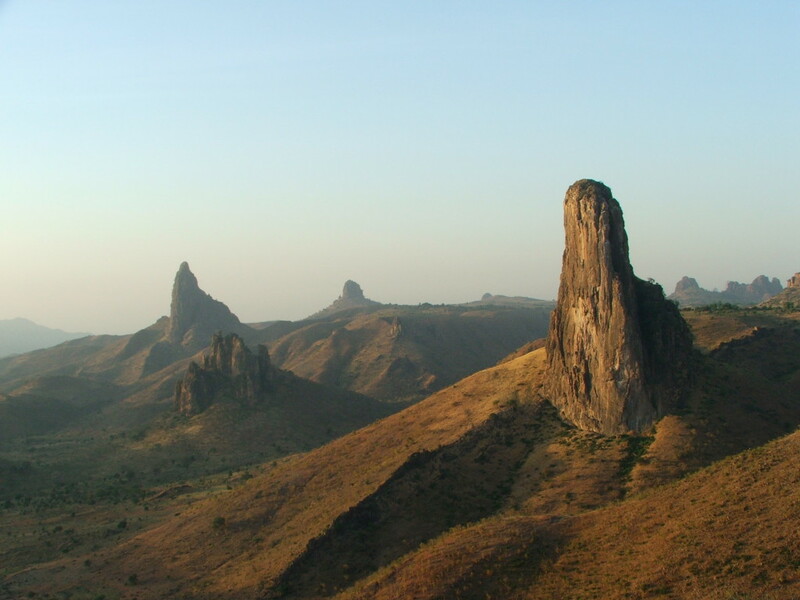 Later, we drive to Bamenda, the capital of the North West Region, via Foumbot. Overnight in Bamenda. This morning on our Cameroon tour, we will have a short visit of Bamenda, where we visit the main market, one of the largest in Central Africa and an atmospheric place full of meat, vegetable, and household goods vendors. 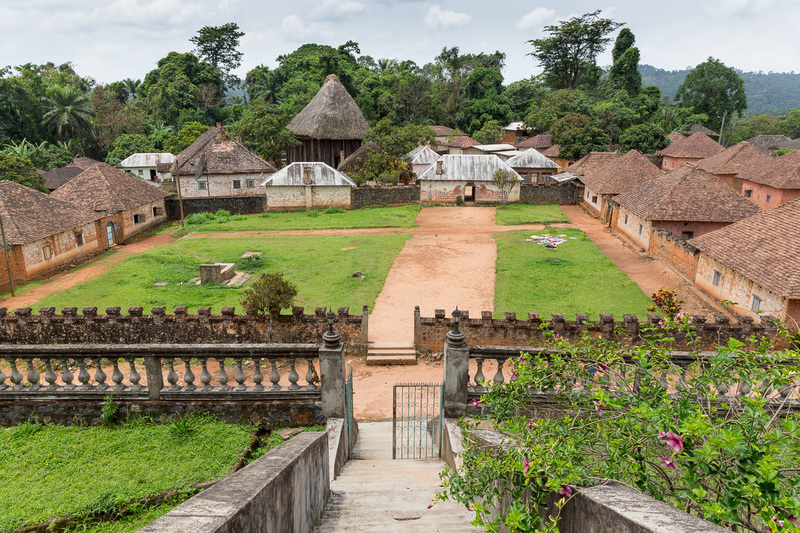 Continuing on, we then drive to Bafut to visit the palace, which is surrounded by a sacred forest in the heart of northwest Cameroon. The Bafut Palace has been the center of political power for over 400 years and embodies the Bafut cultural identity and remains a center for religious rites and traditional ceremonies. 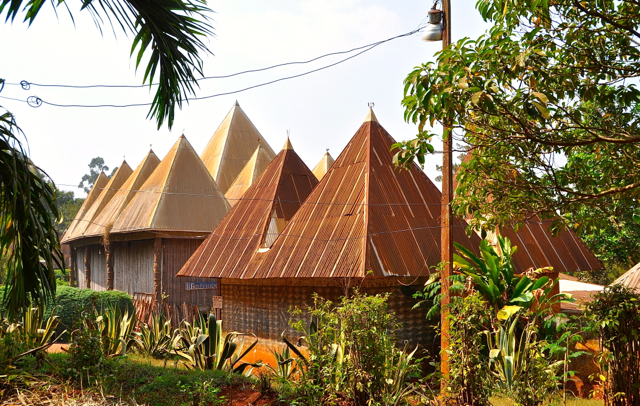 Over 50 houses are clustered around the site’s spiritual core, Achum Shrine, and are used by the Fon (king), his wives, and the royal court. 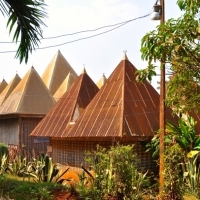 This shrine, built of wood and bamboo and covered with thatch, houses a valued devotional object, typically referred to as a fetish, and is an impressive example of traditional religious architecture. Our visit to the palace will end with traditional dances performed by the prince and princess of the palace. 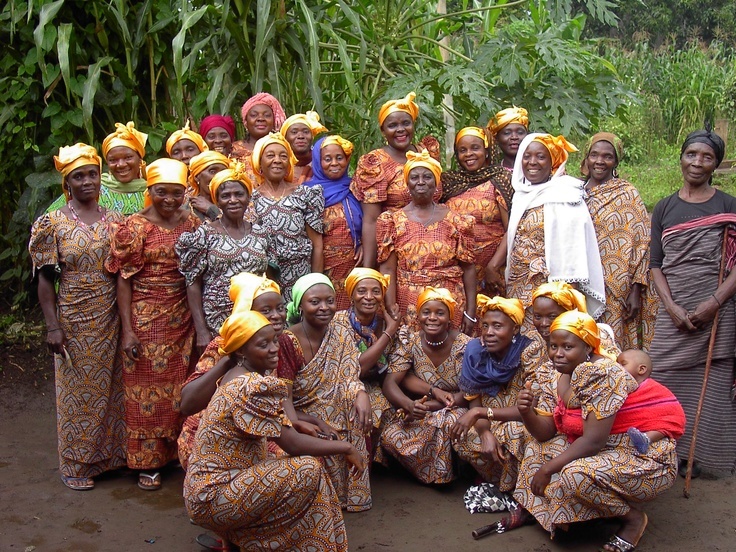 We will then drive back to Bamenda and leave directly to Bafousam, where we arrive in the evening. Overnight in Bafousam. 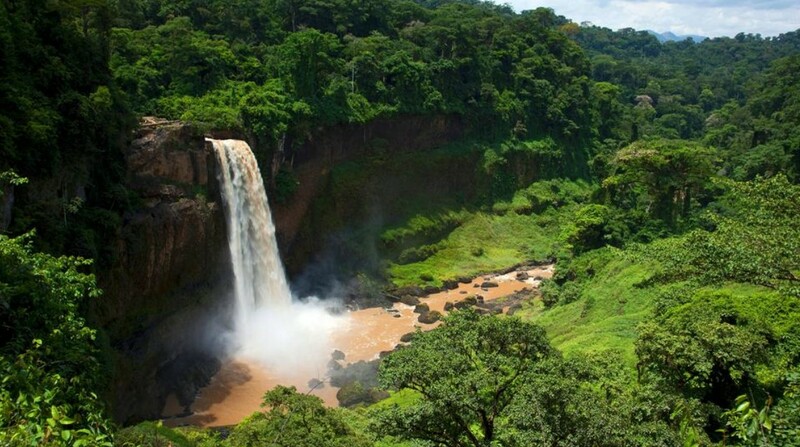 Today we drive to the famed city of Kribi, a beach town on the Atlantic Ocean, where first we will enjoy a stop at the beautiful Ekom-Nkam Waterfalls, one of the largest in Africa, where we can enjoy a hike to the bottom of the falls and admire the powerful falls and bird life. 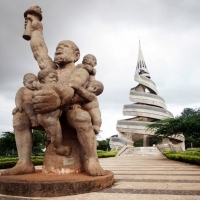 Later, we will stop in Douala, the largest city in Cameroon, for lunch on Boulevard de la Liberté, the thriving heart of the city, and take a panoramic tour before finally arriving on the coast. Overnight in Kribi. This morning on our Cameroon tour, we will enjoy our morning around the busy harbor of Kribi before taking a short city tour and visiting the fishing village of Londji. 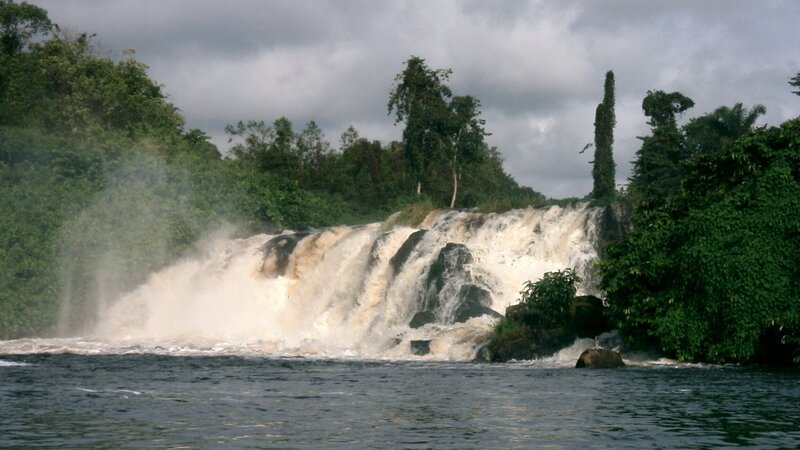 Next we will drive to the Waterfalls of Lobe, a tentative UNESCO World Heritage Site and the only place in the world where a waterfall enters the Atlantic Ocean through a water cascade. 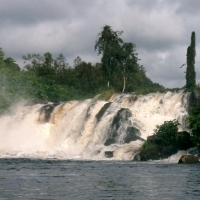 The falls are considered as cultural jewels, as they are of great cultural significance to the Batanga people playing host to many traditional rituals. They form an important site for rituals leading to the enthronement of their chief and also serve as the consecrated spot where the people invoke their water gods and spirits. This lavished pool of water also plays a therapeutic role for them as the sick are submerged in it for healing and purification. 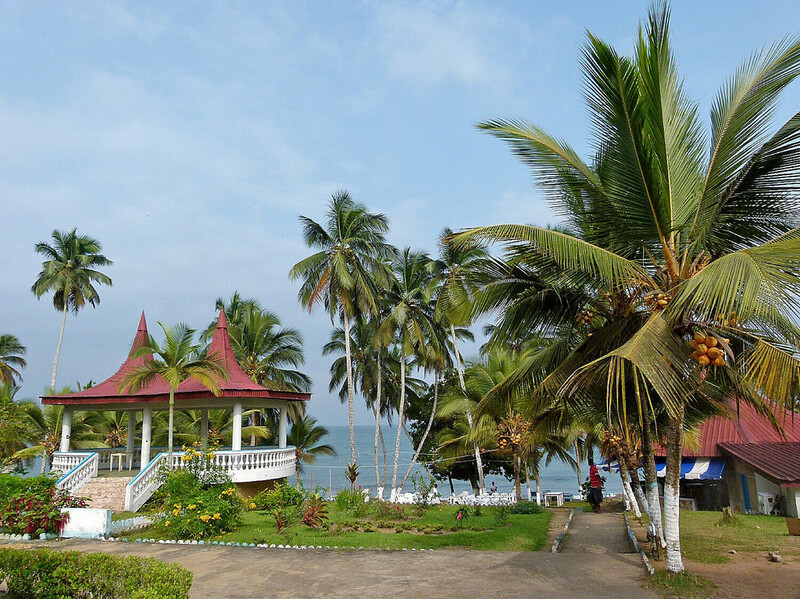 Later, we will take a local boat ride up the Lobe River to visit the pygmies of Bagyeli village (Bagyeli), before returning to Kribi and enjoying this pleasant, seaside town. Overnight in Kribi. After breakfast, we will drive roughly 265km from southern Cameroon to the central region in Yaoundé, admiring the countryside dotted with many villages, where we will stop off in Lolodorf, where we will have lunch. 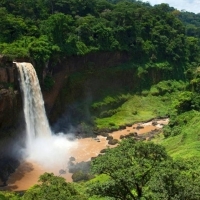 Once we arrive in Yaoundé and check into our hotel, we will have the evening at leisure after dinner. Overnight in Yaoundé. This morning on our Cameroon tour, we will catch the train from Yaoundé to Ngaoundéré, where we will arrive by mid-day and transfer to our hotel for lunch. Later we will drive to visit the small and interesting village of Idol. Overnight in Ngaoundéré. We will have a very early morning breakfast before embarking on our longest day of the trip, driving to Bouba Njida National Park. 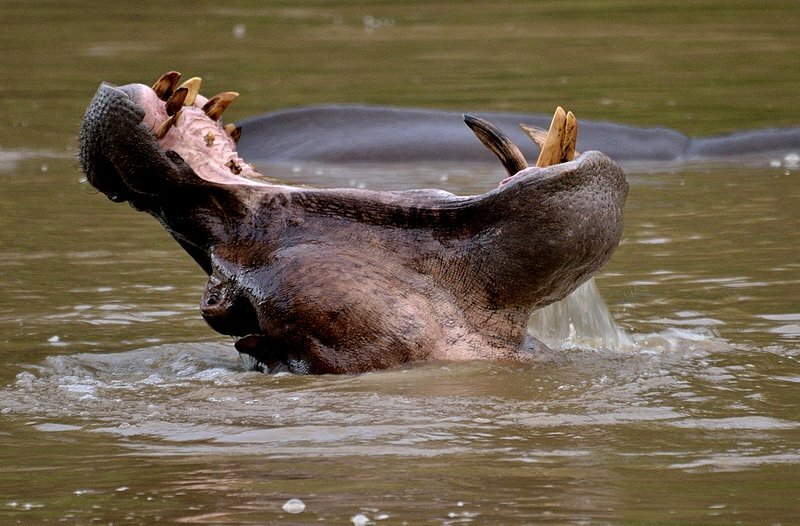 We will make our first stop in Bénoué National Park for a game drive, which is a UNESCO-designated Biosphere Reserve and known for its West African lion, African elephants, waterbuck, kob, spotted hyena, warthog, and herds of hippos on the banks of River Benoue, among other animals. The park is also an Important Bird Area (IBA) with an estimated 300 bird species-both forest endemics and water birds. 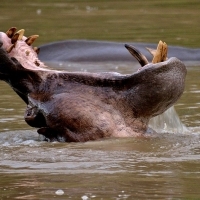 Later, we will continue to Bouba Njida National Park where we will have dinner and rest in the evening. Overnight in Bouba Njida National Park. 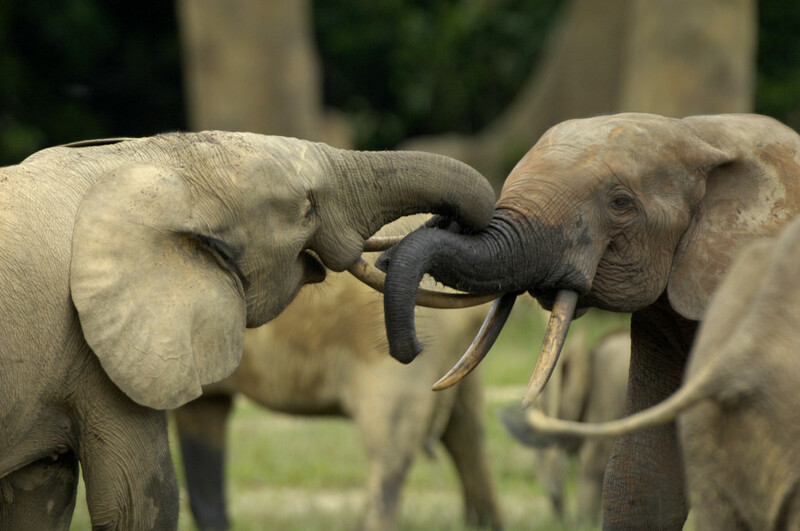 Sadly, in 2012, heavily armed poachers from Chad and Sudan massacred some 200 savannah elephants while on horseback, thus wiping out more than half of the elephant population of the Bouba Njida National Park. In the years since, the NP has been on a slow but steady rebound from this tragedy and is well worth a visit to see its diverse wildlife and bird life. We will be spending the next two days fully exploring this beautiful park, with numerous game drives planned over both days and night spotting for mammals and bird life. Overnight in Bouba Njida National Park. After breakfast, we will take our last game drive of Bouba Njida NP before driving 250km through the countryside to the port city of Garoua, where we will visit the bustling town, the nearby Kapsiki volcanic dykes, and have a farewell dinner. Overnight in Garoua. 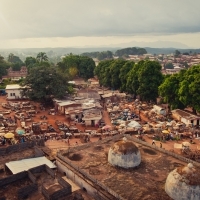 On our last morning of our Cameroon tour, we leave Garoua and fly direct to Yaoundé, where we will catch our onward flights.